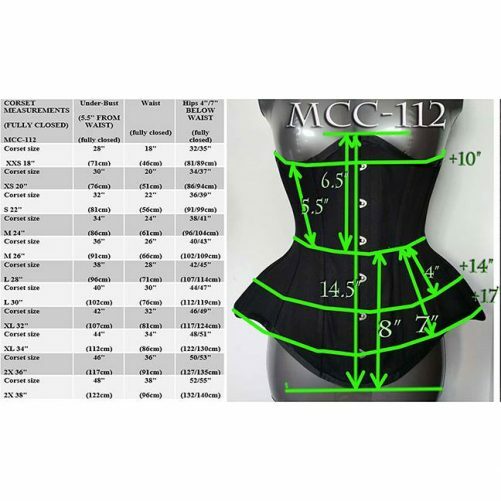 The MCC112 is designed for a pear shape silhouette, It includes 6 flat, and 20 spiral steel bones for higher reduction and support. 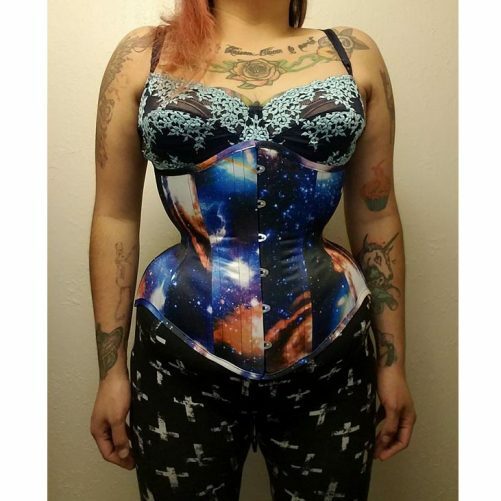 This corset is designed with both tightlacing, and waist training needs in mind, perfect for everyday wear. 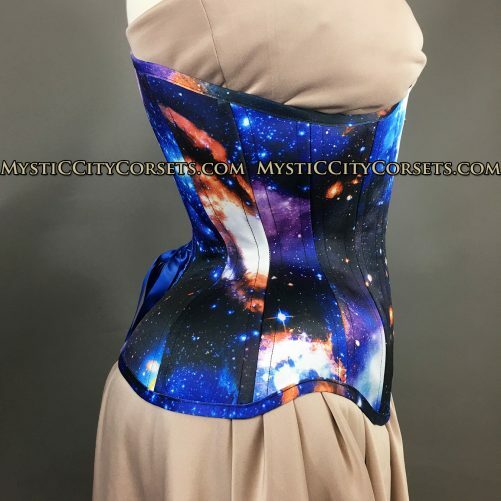 The front measures 14.5” long, The back is 14” long, the side measures 12” long allowing a more comfortable and flexible fit for standard to long torso lengths. The MCC112 can accommodate a quite large reduction, features a slight cupped rib, a rib spring of 10”, upper hip spring of 14″ and a lower hip spring of 17”! 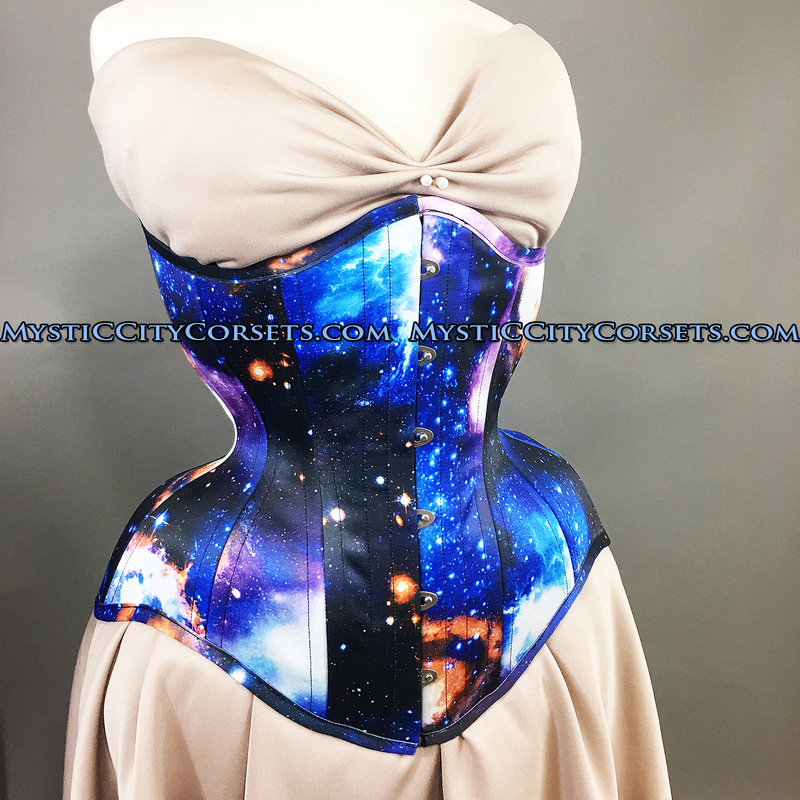 All corsets include a floating modesty panel, storage bag. This is admittedly my first real corset and I couldn’t be happier with it. 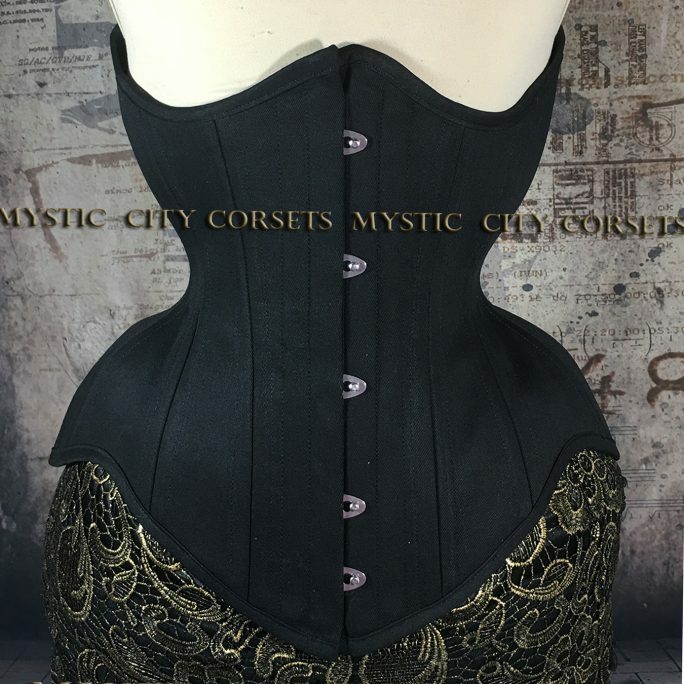 It came quicker than I thought since I bought it on a holiday weekend and when I tried it on it felt so nice and sturdy, and even though it is a very simple black cotton it is beautiful. It was hard for me to want to take it off the first time it was so comfortable. 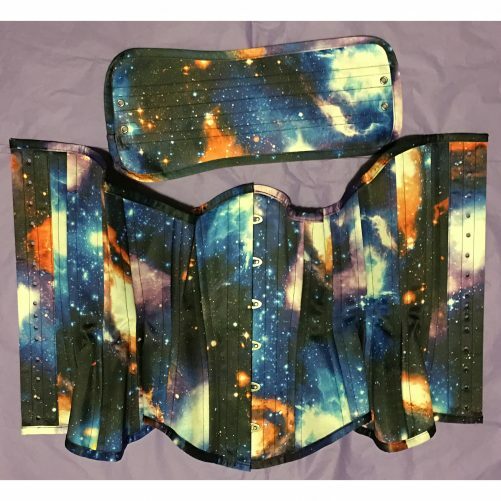 I would definitely recommend this and I will be purchasing again. 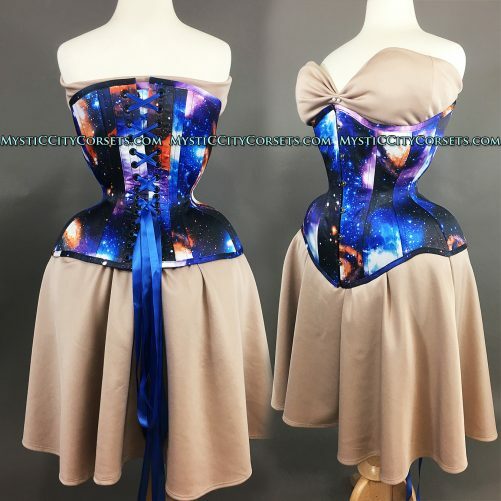 Choirs of people should sing right now as I type this review. 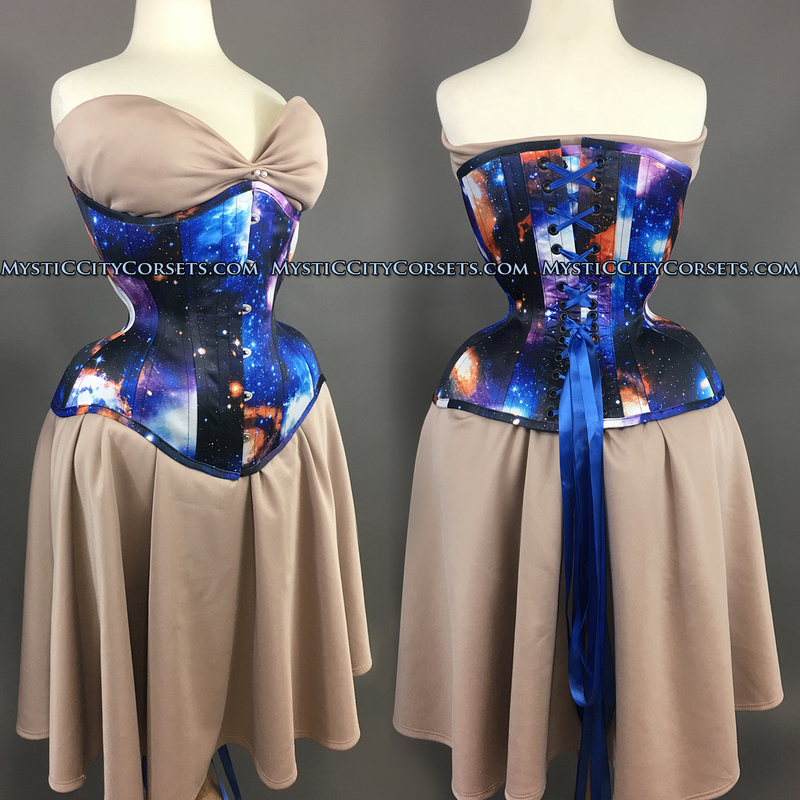 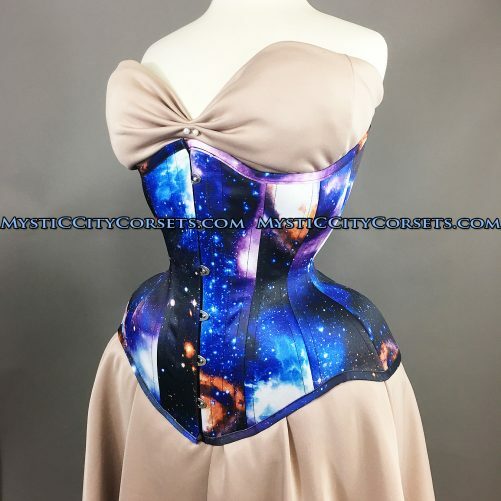 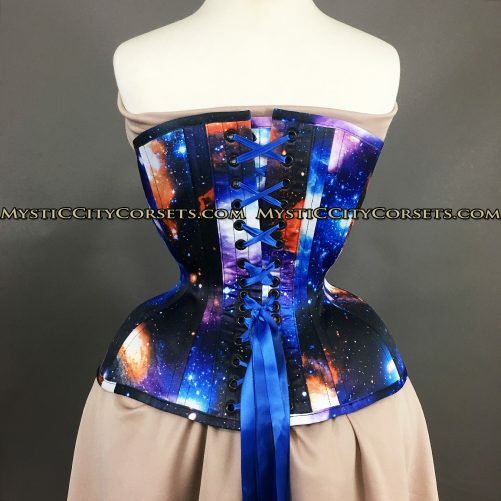 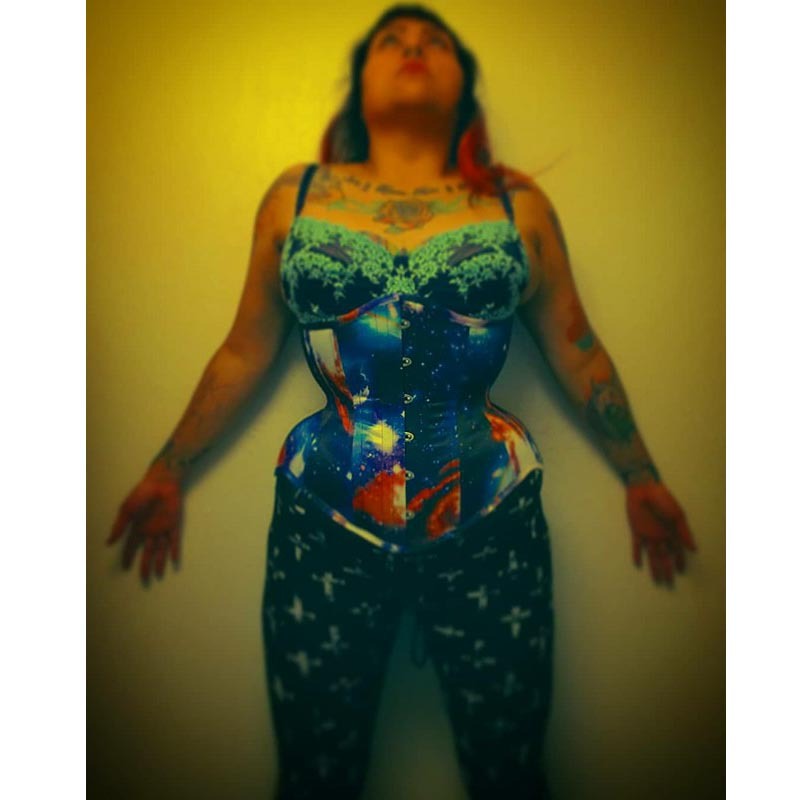 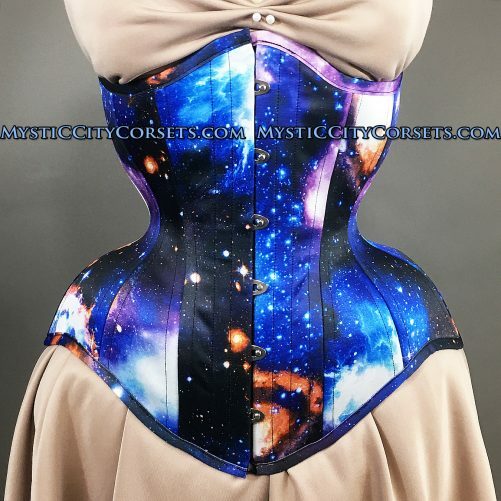 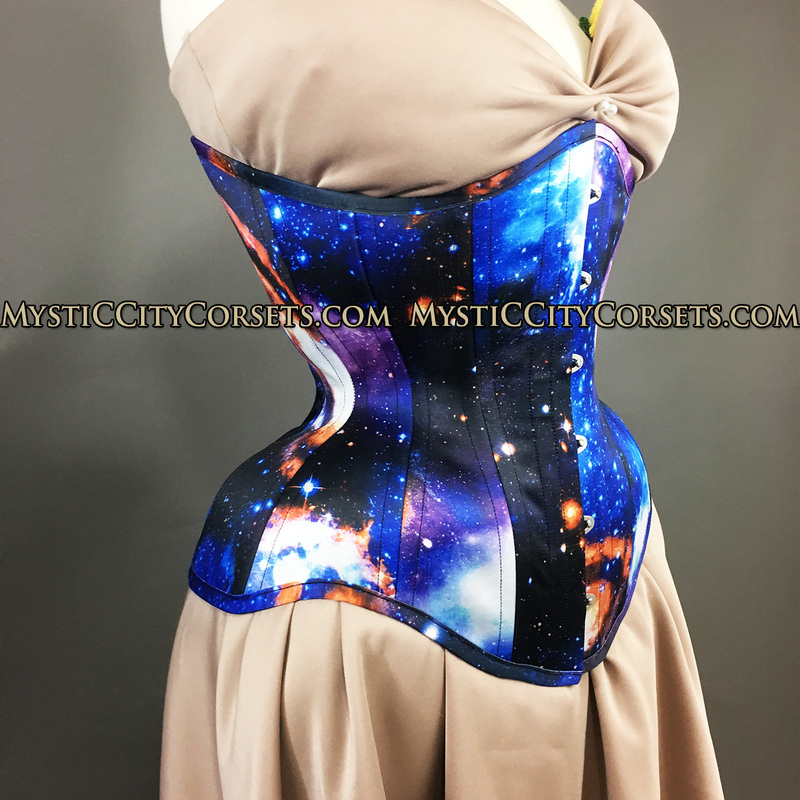 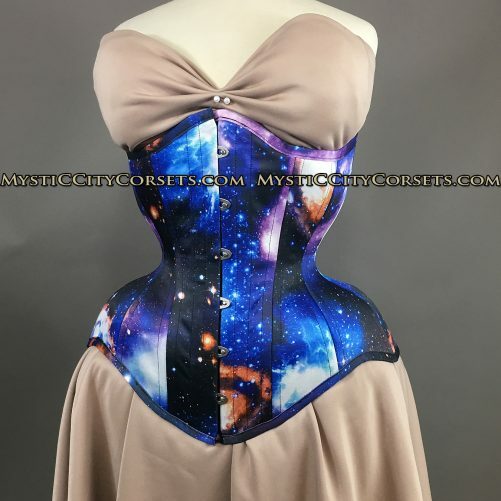 Mystic City Corsets are too rad; the MCC112 is phenomenally designed! If I’m not mistaken, its the next level reduction from the MCC35, and wow does it really fit like glove. 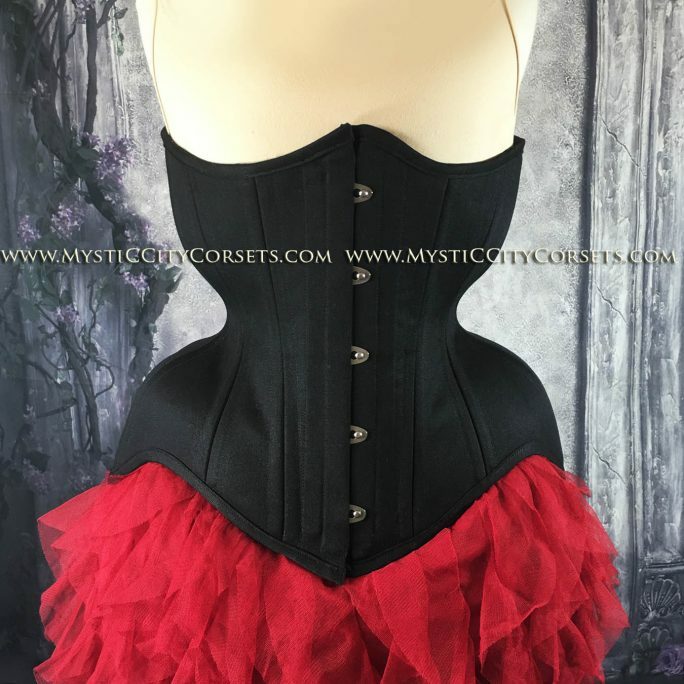 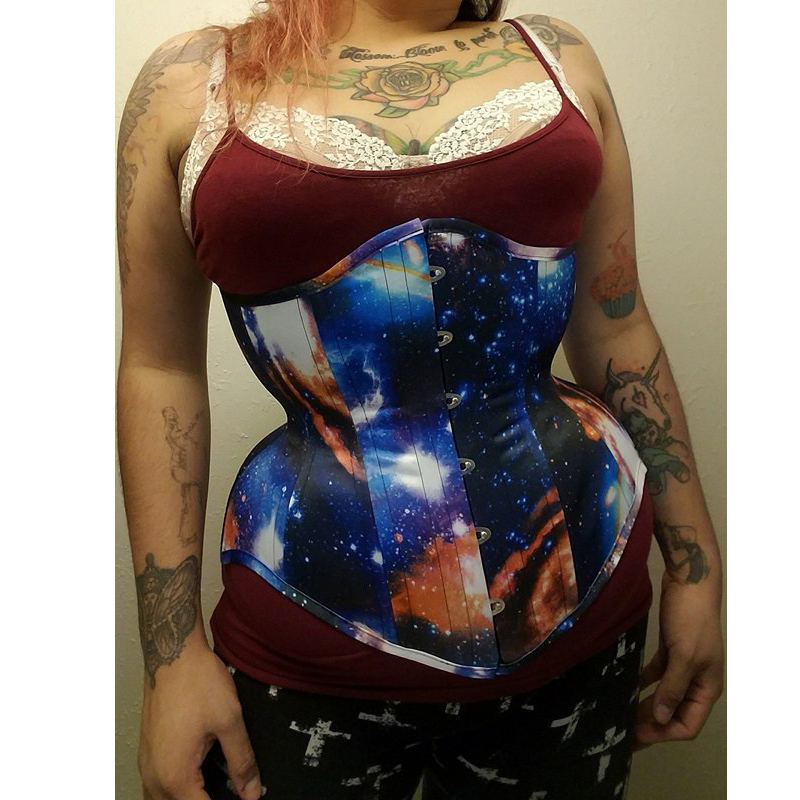 The long fit of this corset is great for my arthritis, waist training, my chronic low back pain, going for long car rides, easing bloating and cramps, and more. The one I purchased was galaxy print, and it’s simply out of this world! 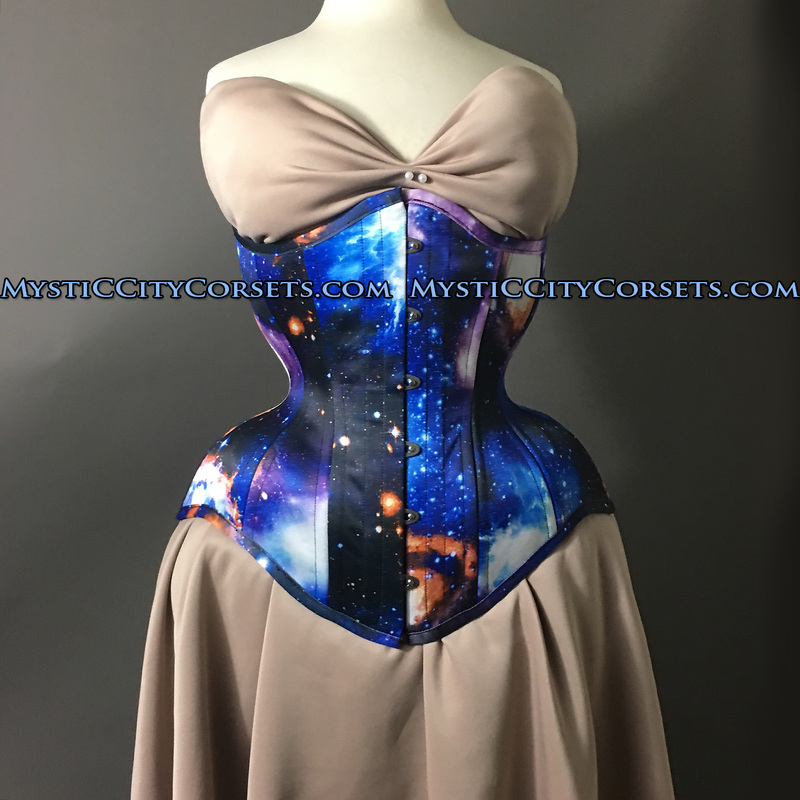 Thank you to Bekki and Kelsey over at MCC for sharing their pics of their MCC112s with me; you women reinforced my decision to choose this garment. 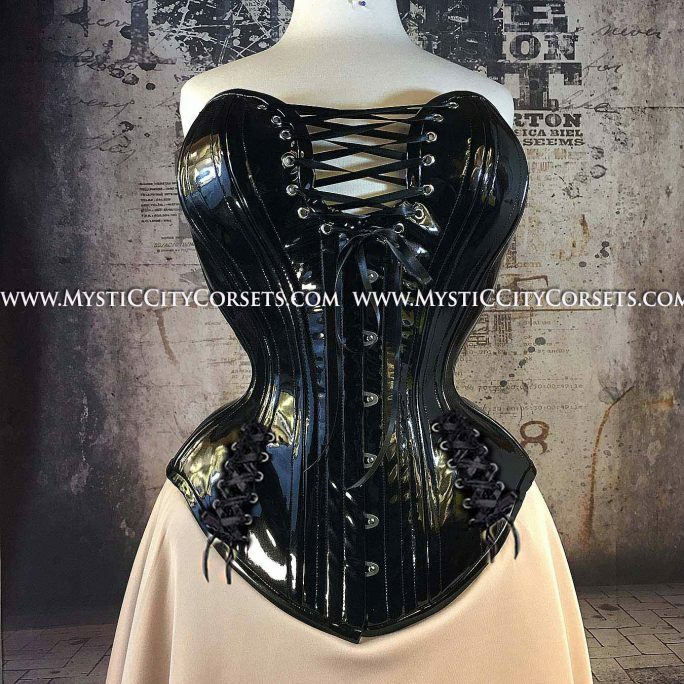 Love this corset! So comfortable, so pretty, and flexable. 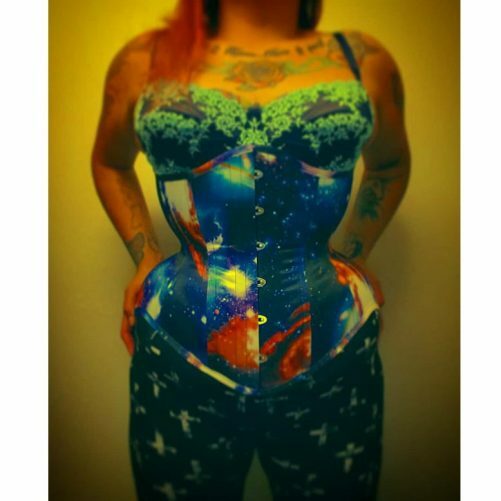 Its my favorite lounging corset. 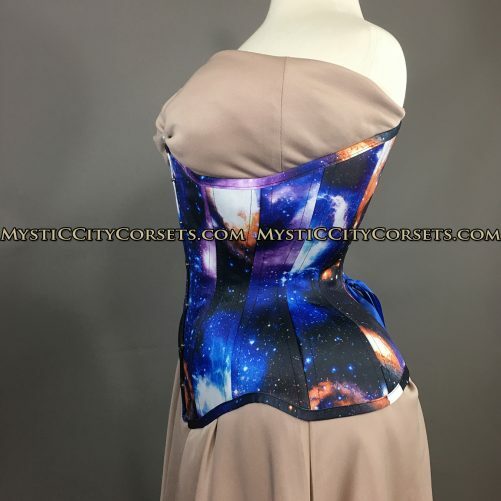 I get great curve, no muffin top, and such a sleek profile. The galaxy print is perfect too! 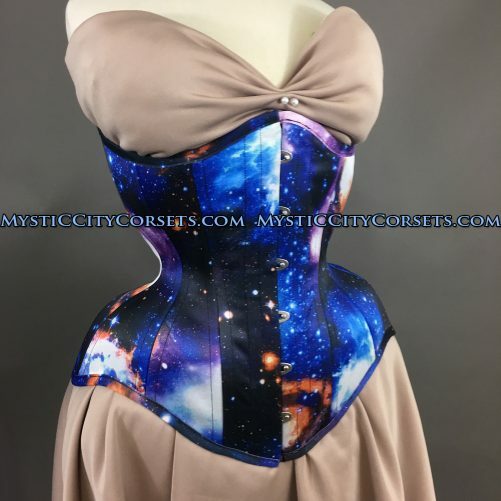 MCC has super fast shipping, and such a great selection of corsets, there is something here for everyone.